Facilities box for two commentators. Allows routing of programme and talkback. 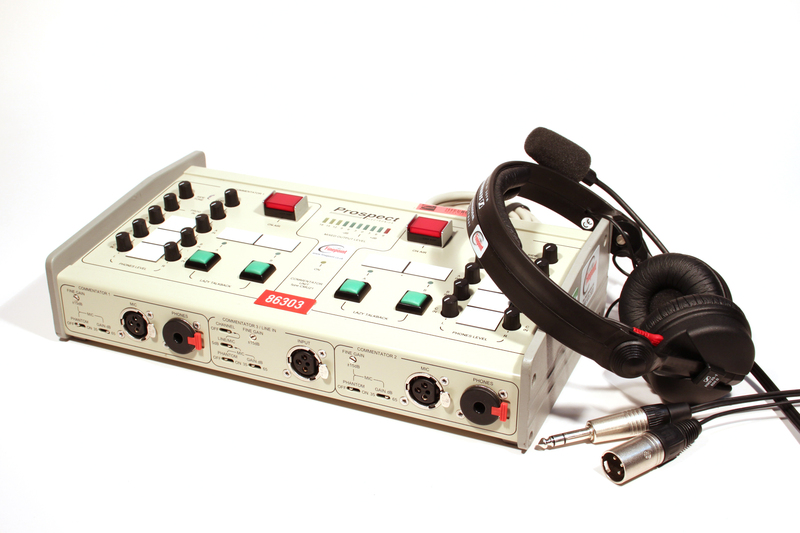 Supplied with two Sennheiser HMD-25-1D commentary headsets. 2 x Sennheiser HMD25-1D commentary headsets with microphone windgags and mains lead.